Colin is a plant hobbyist and gardener who took up bonsai a couple of years ago after discovering the “Bon-Chi” phenomenon – applying bonsai techniques to chili pepper plants (ed. note: I definitely want to hear more about that!). 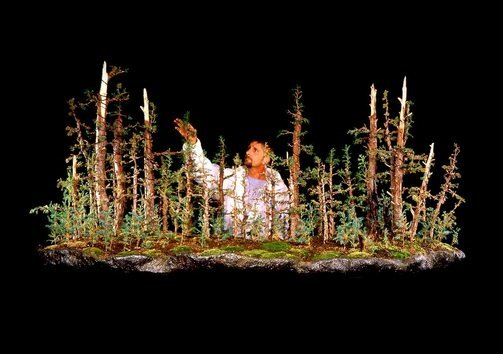 He quickly discovered the joy of more conventional bonsai species, and has been hooked ever since. While fairly new to bonsai, Colin is no stranger to horticulture as a longtime orchid grower and past president of the Coastal Valley Orchid Society. 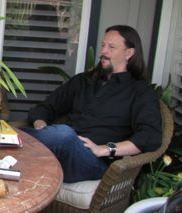 He joined BCSB in late 2014. I’m looking forward to this month’s presentation by our members who attended the annual Bonsai Convention held in Riverside last Fall. “Golden Statements” had a nice article about the Convention as well as other bonsai goings-on. This magazine is a great, and affordable, source of timely advice for all things bonsai. If you have not yet paid your yearly dues, please do so soon. We are trying to get a current membership with phone numbers and/or e-mails out to everyone. If you are not signed up for one of our Saturday workshops, I encourage you to take advantage of them. They offer expert advice on the betterment of your trees and keep you involved with other likeminded souls. 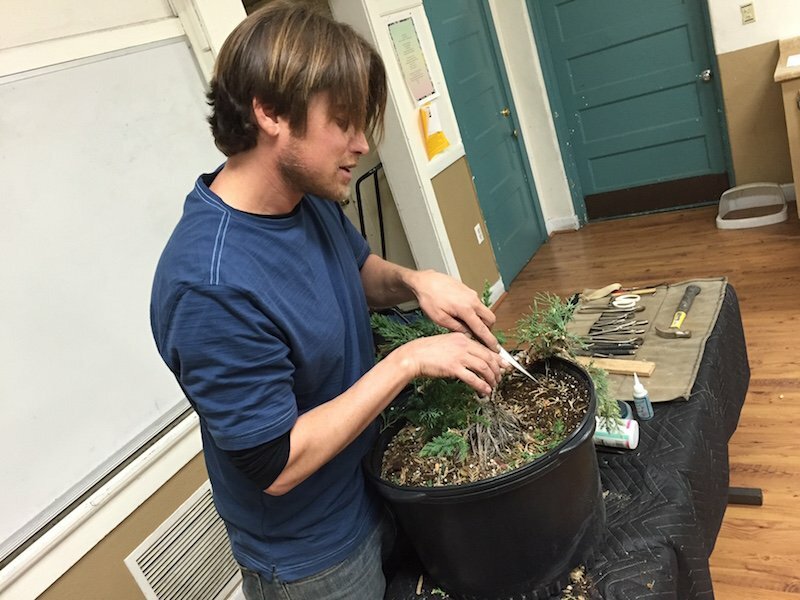 Travis Goldstein returned in January to give us a juniper grafting demonstration. First though, he worked briefly on the procumbens ‘Nana’ Juniper which he first styled at our meeting last June, and which was brought in by Stephen Yee, its current owner. He trimmed back the growing tips and suggested that the owner do the same every month or so this growing season. Travis then moved on to the main demonstration. 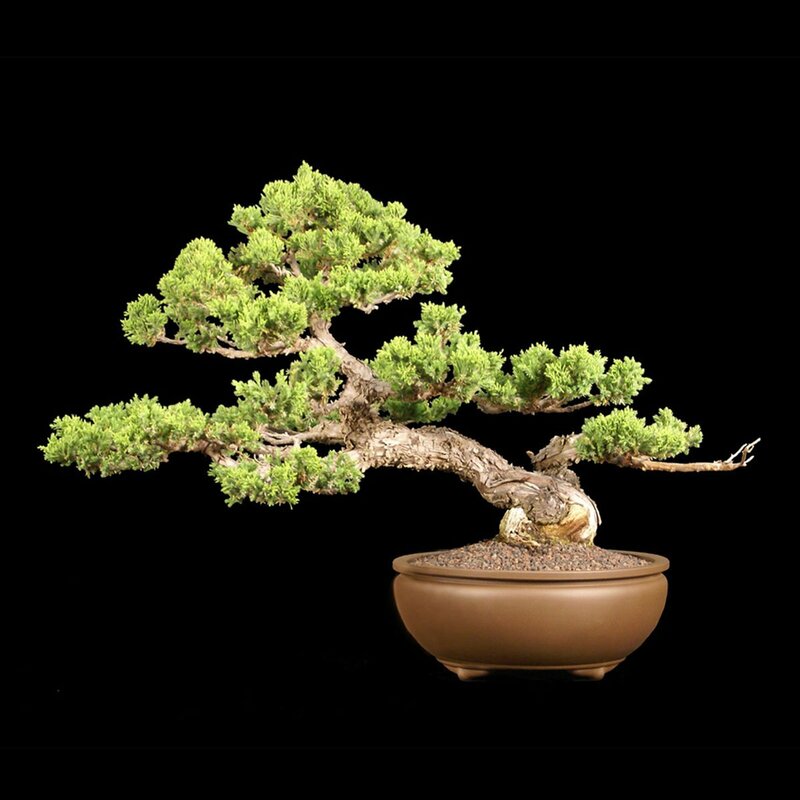 He brought with him a large prostrata Juniper with an interesting trunk, onto which he grafted scions of ‘Kishu’ Shimpaku Juniper. First, he demonstrated how he sharpens and maintains the edge on his grafting knife, stressing that a sharp knife is important for maximum grafting success. When the blade was ready, he set it aside. He trimmed back the prostrata hard enough to reveal the trunk, being careful to leave growing foliage beyond areas where he planned to graft. He explained that this was important to keep the sap flowing past the graft sites until they take. Next, he snipped off a vigorous whip from the Kishu to be a scion. He tightly wrapped the foliage with Parafilm grafting tape (to limit moisture loss) and used the grafting knife to cut the base of the scion into a “V” shape. Travis then demonstrated his technique for cutting the understock: He makes several thin parallel cuts, leaving a more pliable flap to accommodate the scion. After inserting the scion into the cut, he wrapped the graft up tight with green garden tape. This both stabilizes the graft, and prevents water from entering the union. A final application of sealant on top of and around the tape further precludes moisture penetration. He repeated the process several more times (sometimes using a grafting chisel instead of the knife) and answered many questions from members as he went along. Finally, he emphasized that the grafts would be delicate for quite a while and should be treated carefully for at least a year or two. 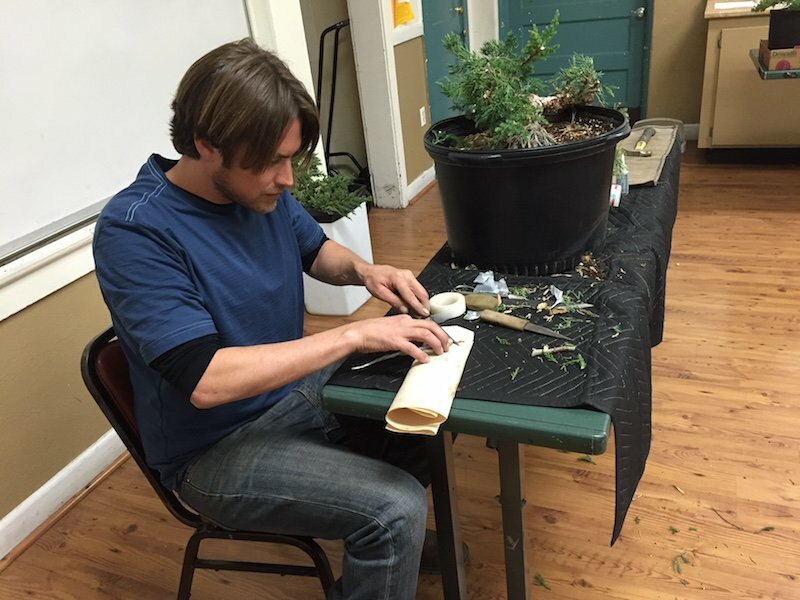 Travis has all of the tools and materials used in his demonstration available for sale at his nursery, California Bonsai Studio, in Thousand Oaks. He also hosts a free bonsai workshop on the third Saturday of each month. Visit www.californiabonsai.com for more information. Editor’s note: Many thanks to Colin Purcell for the above write-up and to Daniel Martinez for the pictures. Being an unrepentant tree hugger, I can’t resist including a picture I took on the very day of the club’s January meeting. 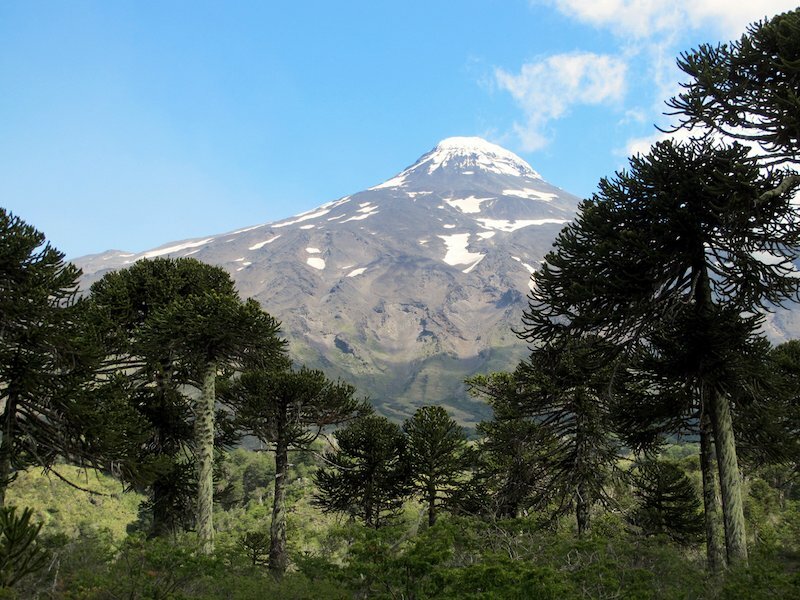 We were on a trip to spectacular southern Chile and I snapped this picture of a grove of Monkey Puzzle trees, Araucaria araucana, at the base of ice-capped Volcán Lanín. If you haven’t already, please bring your dues to the meeting or mail them to the club’s PO Box. Dues: $30.00 for individuals, $45.00 for families. Hotel Mission de Oro, Santa Nella. 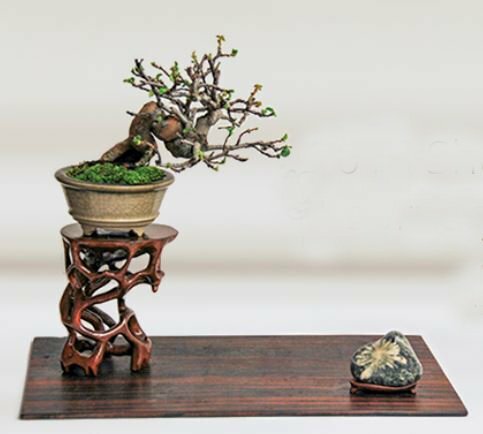 Feb 5: Registration 10 AM – 5 PM with demonstrations from Noon to 6 PM, Exhibit and Vendor areas set-up 11 AM – 5 PM; everyone is invited to share their treasured Shohin Bonsai in the Exhibit. Feb 6: Exhibit opens for Registration, Viewing, Vendor Sales, Workshops, Raffle & Benefit Drawing 8 AM – 5 PM. Feb 7: Exhibit Open 9 AM – Noon with demonstrations, and business meeting. Registration Forms available on the website. Attendees who only want access to vendor and exhibit may purchase a day pass. For more information see our website: www.calshohin.org/, email: calshohin@yahoo.com, or phone: Randi Keppeler (650) 598-0127. 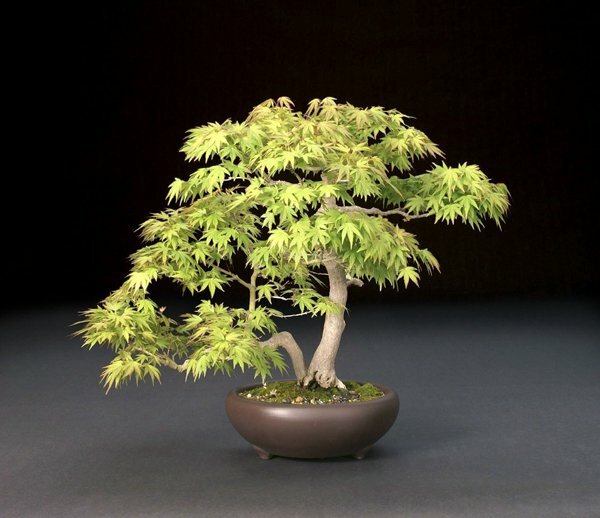 February 13: Bonsai Club Of Santa Barbara: 2nd Saturday Workshop With Ann Erb. 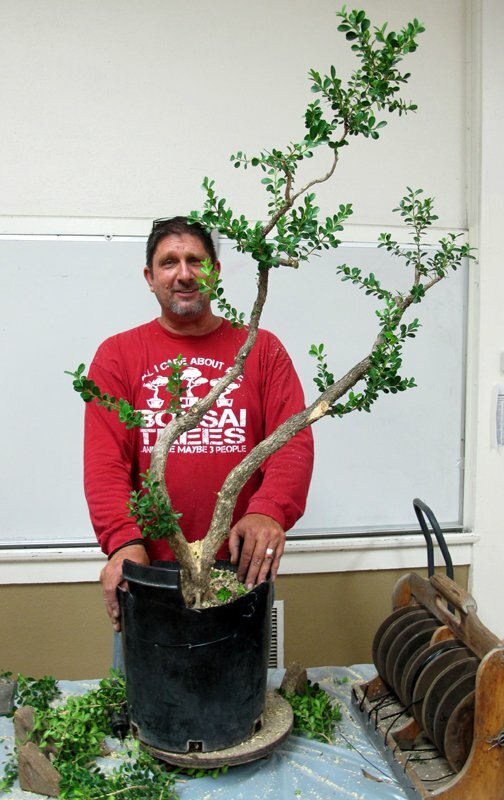 February 20: Bonsai Club Of Santa Barbara: 3rd Saturday Workshop With Guest Instructor. 9 AM until noon or 1 to 4 PM., Room 7, Goleta Valley Community Center. Cheryl Manning, guest instructor. Huntington Library and Botanical Gardens, 1151 Oxford Road, San Marino. Annual fundraiser for the GSBF Collection at The Huntington. Admission to the event is free with Bonsai-A-Thon “early bird” registration between 8 AM – 9 AM. Event hours are 8 AM – 4:30 PM both days. Pancake breakfast, a tour hosted by Jim Folsom (Director of the Garden), demonstrations, lunch, bonsai exhibits, large sales area, raffle and auction. Sunday only: a behind the scenes tour of The Huntington Bonsai Nursery with Ted Matson. For more information, contact Bill Wawrychuk at (818)790-9415 or email b_wawrychuk@yahoo.com. Program: Presentation by Mel Ikeda.